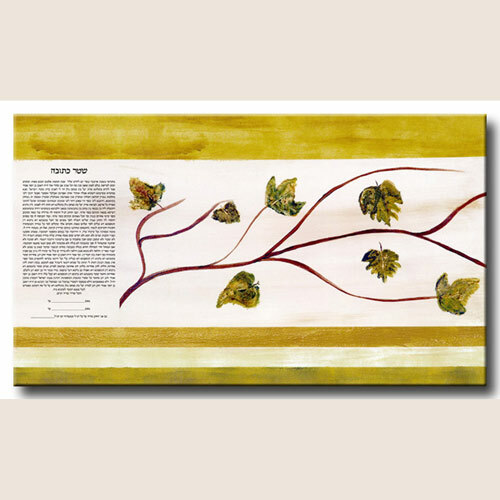 The Ketubah Company offers a selection of beautiful fine-art ketubahs created exclusively for us. 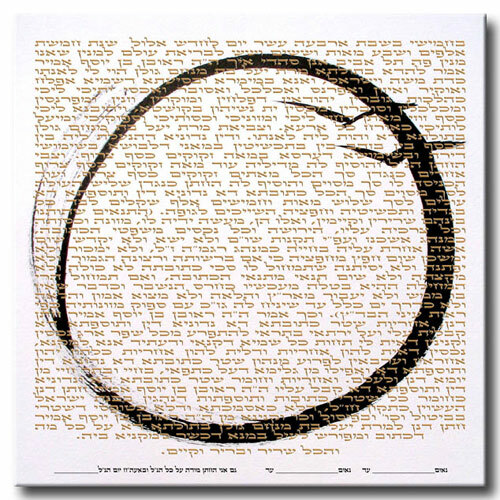 Our artists are mainly Israeli and work in a wide range of styles and techniques enabling us to offer a variety of unique choices, while maintaining a traditional context. The ketubahs presented in our gallery have been approved by representatives of the different religious and traditional streams. 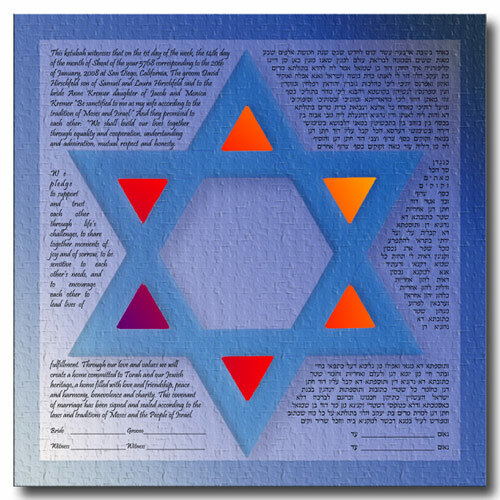 In addition to traditional weddings they are also suitable for non-denominational marriages, and for many other ceremonies such as anniversaries, renewal of vows, as a thank-you and appreciation gift to parents or loved ones, and more. 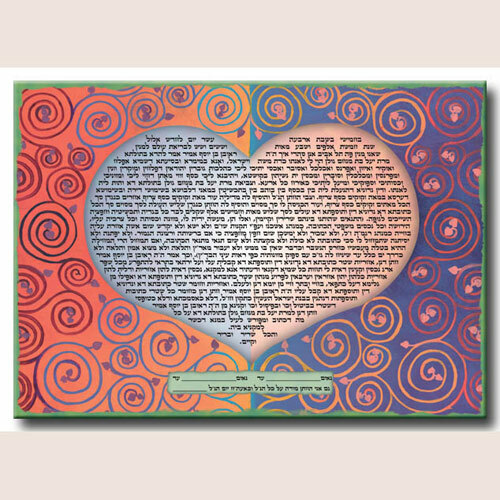 Our ketubahs, being works of art with superimposed graphically customized wording, can be combined with any text suitable for any occasion - bar/bat mitzvah haftara, home blessings, baby blessings or any other creative choice either provided by us or requested by you. 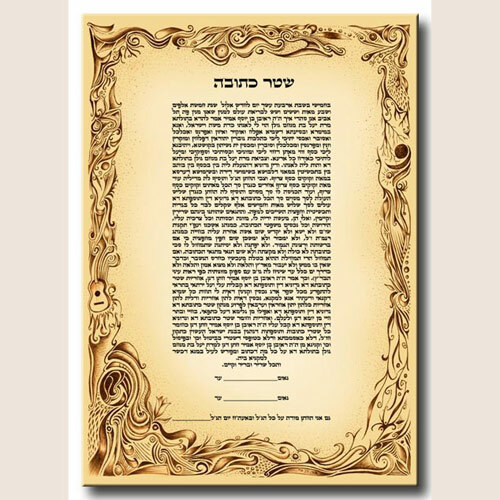 Creative ideas combined with up-to-date technology makes for a really special ketubah for every customer and a joy for years to come. In addition we are open to special requests and/or suggestions such as text changes, image and color adjustments, custom texts and texts in different languages. One of the best experiences in preparing for our wedding! This company is very professional, their website is easy to work with and they are always on top of things, taking a great load of our minds when it comes to such an important issue. 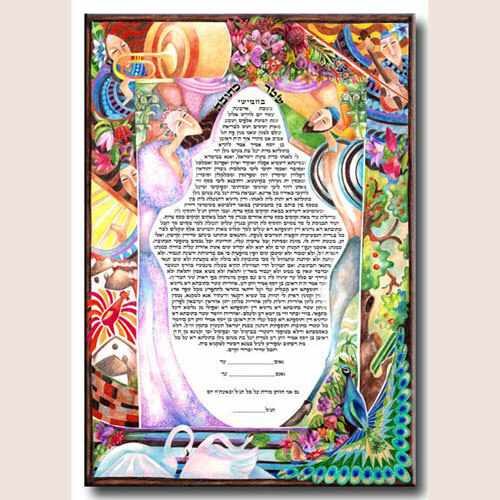 We got our ketubah so quickly and it is beautiful! Excellent website. 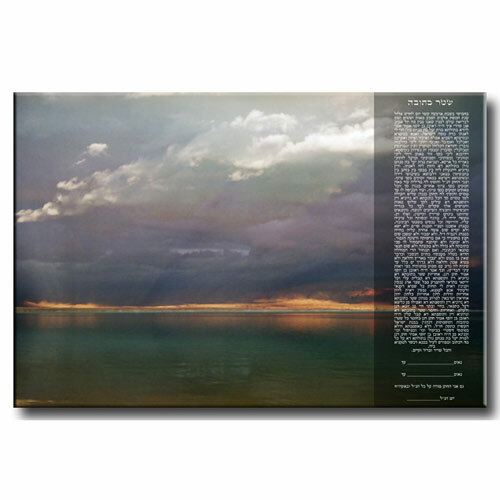 Very helpful and knowledgeable staff and a really beautiful ketubah. 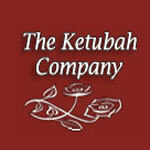 The ketubah company went above and beyond our expectations, would definitely recommend them to anyone.